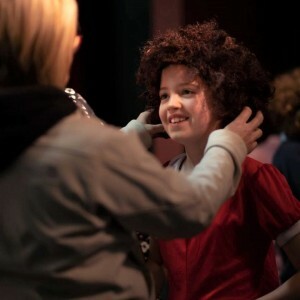 Carnegie Arts Centre, Kenmare, is excited to announce that this year’s spring musical ‘Little Orphan Annie’ will be showing May 17th – 19th. It is brought to you by Theatre Games Ireland and directed by April Ferron. It’s 1933 during the depths of the Great Depression. Annie (11 years old) is living in the Municipal Orphanage on New York’s Lower East Side. Miss Hannigan is the drunkenly horrid principal in charge of the orphanage. Annie decides to escape and try and find her parents. Naturally, this proves unsuccessful. However, Grace Farrell, secretary to the billionaire Oliver Warbucks is searching for an orphan that she might invite back to the Warbucks’ household. Warbucks quickly realizes this visit will mean more than his image. The cast features select children from Theatre Games Ireland and several local Kenmare Carnegie Players. Headlining cast features Eirinn Higgins as Annie, Mandy McGahan as Miss Hannigan, Vanessa O’Sullivan as Grace Farrell and Eoin Shaw as Warbucks.